This listing is for a downloadable PDF pattern. 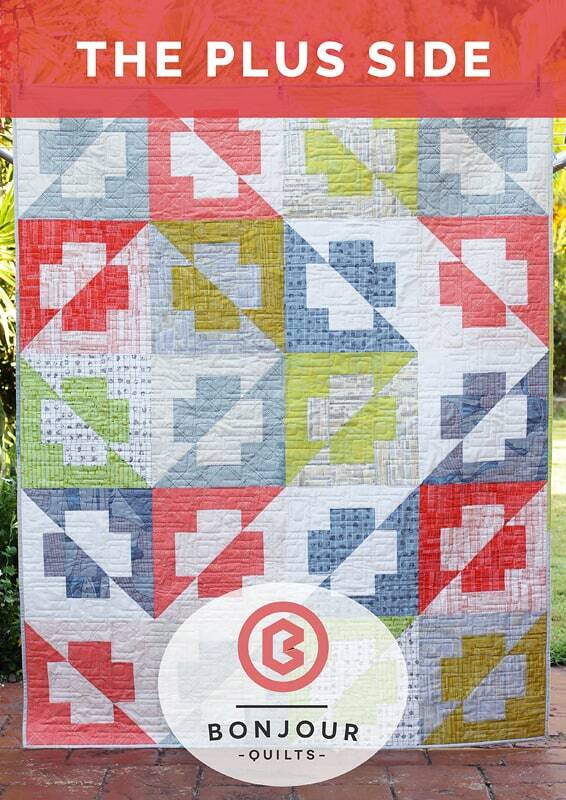 The Plus Side is fun modern quilt pattern that has 12″ (finished) blocks. It is suitable for beginner quilters and beyond. The pattern can be sewn in five sizes: crib, lap, twin, queen and king – and of course blocks can be added and subtracted to make whatever quilt size you need. The Plus Side is FQ (fat quarter) friendly, with a colour-in diagram that lets you experiment with fabric choices and block orientation.